Joan Schneider received her MS and PhD degrees in Anthropology from the University of California, Riverside, after a career change from the health sciences (She has BS and Master of Public Health degrees from Columbia University in New York City). At present, she is Associate State Archaeologist based in the Colorado Desert District (Borrego Springs) as well as Assistant Research Anthropologist at UC Riverside. Her archaeological research focuses on the reasons why prehistoric peoples (particularly women) chose certain stones for tools and vessels and how the stone chosen related to the tasks performed or uses of the artifacts. She uses field survey, and physical and geochemical analyses to find the sources of rocks and to determine why these rock sources were chosen. She has contributed professional articles to regional, national, and international publications as well as authoring chapters in several books. 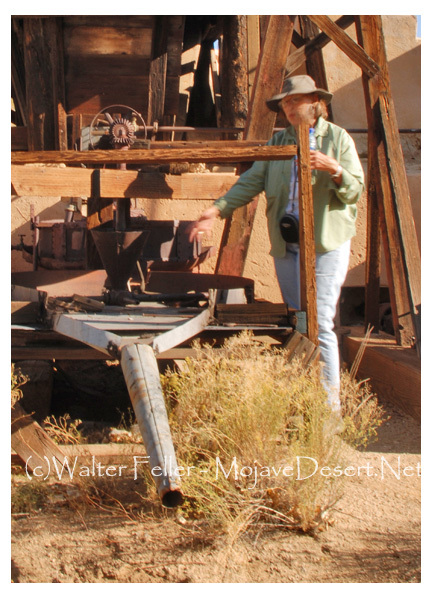 Joan has worked for over 20 years in the deserts of the world, including the Colorado, Mojave, Sonoran, and Negev. As a Principal Investigator, she has conducted projects in Joshua Tree and Death Valley National Parks, as well being an Archaeological Field School Director for the University of Nevada, Las Vegas. She has worked closely with Native Americans, government agencies, and private corporations on many of her projects. A firm believer in public education as a means of appreciation and protection of cultural and natural resources, she teaches classes focused on regional archaeology for the CSU San Bernardino Desert Study Center at Zzyzx, the Joshua Tree National Park Desert Institute, and the Anza-Borrego Foundation/Institute. Schneider joined the Colorado Desert District of California Parks in 2001 after retiring from UCR and leaving her position as Interim Executive Director of the Western Center for Archaeology and Paleontology at Diamond Valley Lake in Hemet. Joan has become enthralled and involved with the rich archaeological record of Anza-Borrego Desert State Park and Cuyamaca Rancho State Park and has conducted (and continues to conduct) a variety of archaeological projects. Schneider also trains volunteer archaeologists who work as part of the cultural resources team in the parks and act as Archaeological Site Stewards.